Airship 27 Productions is thrilled to announce the release of the third volume in their western anthology series starring the greatest western lawman of all times; Bass Reeves. In all the annals of frontier history, there was no lawman as skilled or tireless in meting out justice then former runaway slave, Bass Reeves. Having lived with the Five Civilized Tribes during the Civil War years, Reeves was taught tracking and hunting by the natives of this rugged land. After marrying and starting a horse ranch, he soon realized raising a large family (he would have ten children) was expensive. 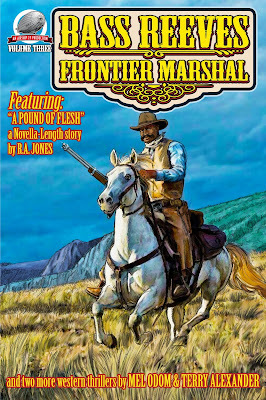 Thus when offered to pin on the U.S. Deputy Marshal’s badge, Reeves accepted for two practical reasons; his own respect for the law and the fact that Marshal’s got to keep whatever bounty was posted on the outlaws they hunted. “The first two books in this series are still hot sellers,” reports Airship 27 Productions’ Managing Editor, Ron Fortier. “Interest in Bass Reeves continues to grow and it is our plan to release a new volume every year.” Fortier also noted that there have been rumblings from Hollywood on several possible Bass Reeves projects. “It is only a matter of time before someone out there realizes how important such a film or series could be. 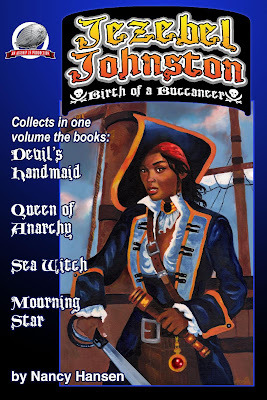 But while they waffle, we’ll continue to put out Bass Reeves books.” Airship 27 Productions’ award-winning Art Director, Rob Davis, provided both the cover and interior illustrations. 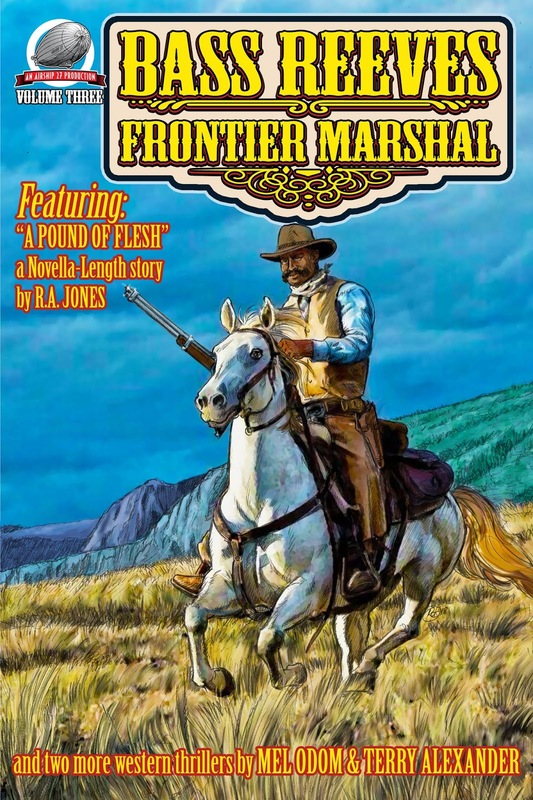 In this volume, writers R.A. Jones, Terry Alexander and Mel Odom put the legendary Marshal to the test in three brand new adventures. From facing an old deadly foe, hunting a killer in Indian country and going after a preacher who believes himself to be God’s own avenging angel. This is the Wild West at the wildest, challenging the one man who could not be beaten, Marshal Bass Reeves. This Season, Give Me to Your Friends and Loved Ones! It's the Holiday Gifting of Sean Taylor. The gift that keeps giving read after read. From sci-fi to horror, superheroes to pulp adventurers, I've written a little something for everyone. Visit my Amazon page or go to the store here on the blog for all kinds of holiday gifting joy! Writers know that creating tension in a story is vital. It means we put our characters in tough situations that we might not necessarily want to write about. It means manipulating our reader’s emotions. Your characters might need to experience sadness or terror in order to make the story better, even if you as the author don’t want to go there. Unfortunately, we authors often have to experience the same emotions our characters experience. 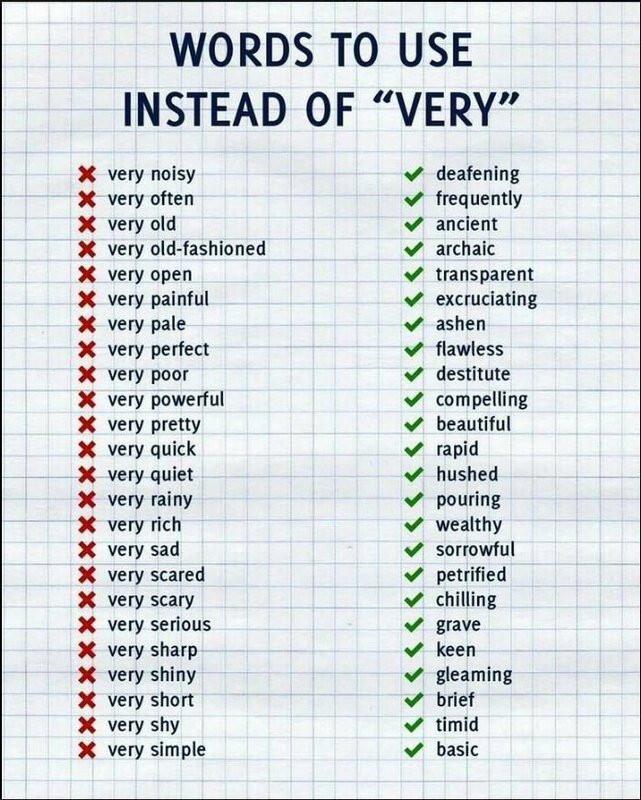 This especially includes me. I’m a “method writer.” Like a method actor, I have to put myself into the character’s head. I have to “be there.” That’s why I can’t just write an outline and have it work. I have to create more of a pre-draft because I literally have to go into the story and hear, see, and feel what my character feels. 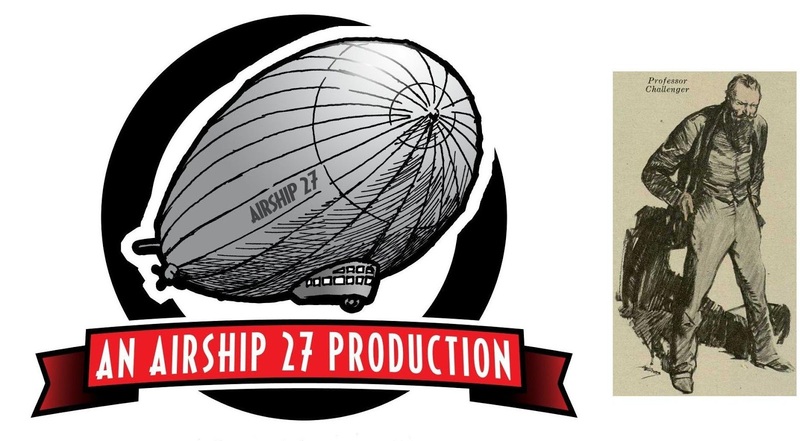 Now Airship 27 Productions is thrilled to take to the wild blue with four brand-new, pulse-pounding, cloud-climbing adventures. From a hidden Japanese base in the South China Sea, to the search for a missing scientist and a top-secret mission in a “rubber” plane, these stories soar boldly into the killer skies. 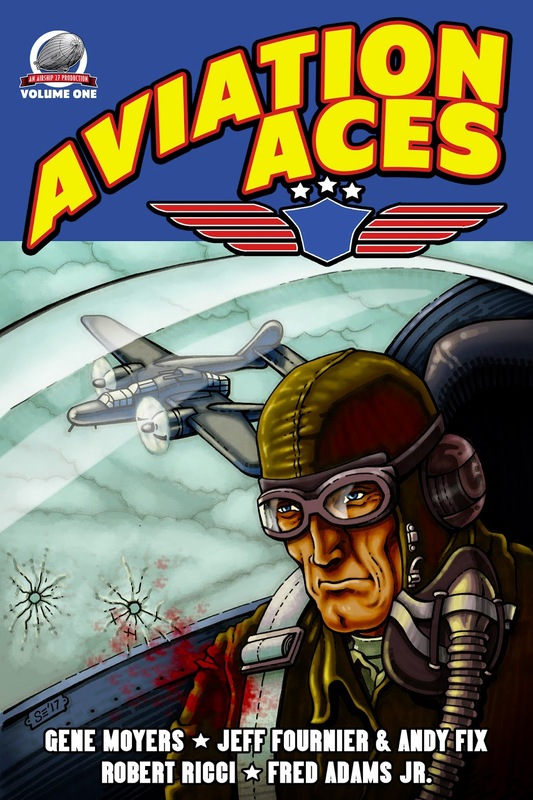 Join writers Gene Moyers, Jeff Fournier, Andy Fix, Robert Ricci and Fred Adams Jr. as they fly straight into thrilling pulp action. It is no secret that Airship 27 Production’s best-selling books for the past six years have been their volumes in the “Sherlock Holmes – Consulting Detective” series. Now twelve volumes rich, they continue to sell and are constantly on Amazon’s top mystery anthology list year after year. To their thousands of loyal readers, reason for this continued success is no secret. All Airship 27 Production’s “Consulting Detective” books are done strictly in the tradition of Holmes & Watson’s creator, Sir Arthur Conan Doyle. 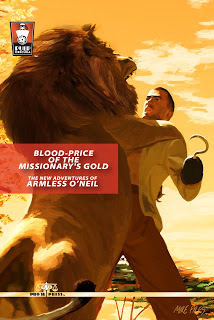 Now this leading New Pulp publisher is hoping this formula will work a second time as they prepare to launch a brand-new anthology based once again on a Conan Doyle character; Prof. George Edward Challenger. 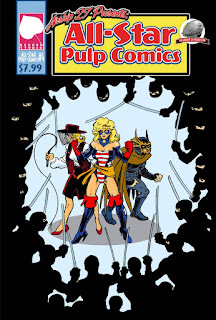 All-Star Pulp Comics Now Available! 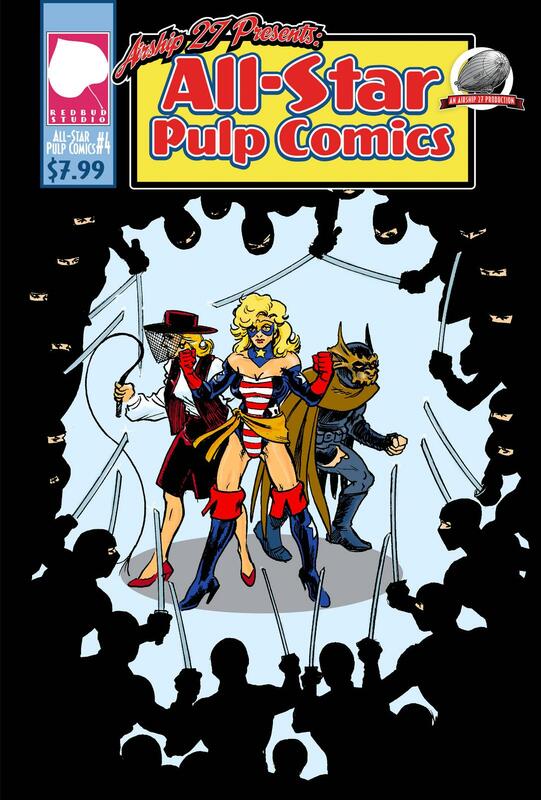 ALL-STAR PULP COMICS Volume 4 REDBUD STUDIO & AIRSHIP 27 presents this newest issue featuring three amazing heroes: Mask of the Gargoyle (created by Dario Carrasco) as he battles remnants of the Third Reich in “Rockets Red Glare”; golden age comics great The Veiled Lady as she takes on crooked government officials in “The Veiled Avenger” and; Major Liberty, where the U.S. Army debuts its very own super-heroine “Operation: American Maid.” Amazing pulp comic adventures featuring writer Ron Fortier with artists Montos, Kevin Broden and Kevin Wiggins. Edited by Rob Davis. This is 40 pages of non-stop action pulp style! 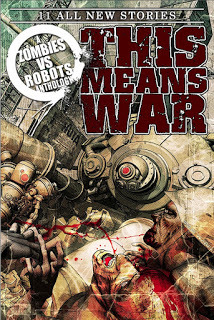 Cover by Rob Davis pits our three heroes against an army of ninjas. 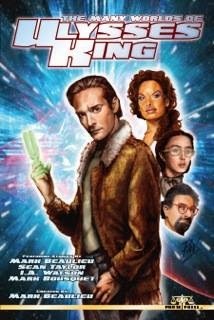 Known for innovative ideas, Pro Se Productions, a Publisher of Genre Fiction and New Pulp, also often takes inspiration from other sources. The work of an artist shared on social media proved to lead to such a moment as Pro Se announces open submission calls for ‘PRINCESSES OF PULP’, a new anthology slated for release in 2019-20. Proposals for PRINCESSES OF PULP must be 1-3 paragraphs long and completely outline an overall synopsis, from beginning to end, of the proposed story. These stories are to be retellings of fairy tales from any country, popular or obscure, that originally featured female leads, either princesses or simply women, and must feature those same characters in the retelling. 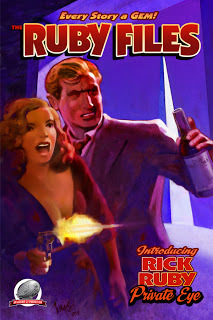 The retelling can be any genre considered Pulp, which would include westerns, detective mysteries, weird tales, science fiction, fantasy, romance, and more. Pro Se staff will determine if the concept is ‘pulpy’ enough for acceptance. Proposals are to be sent to submissions@prose-press.com. 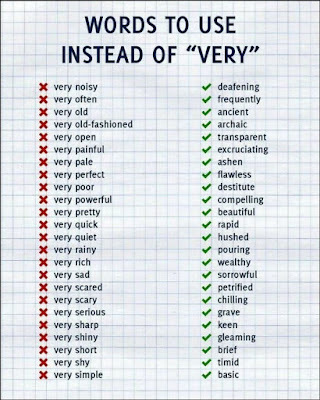 Stories must be 8-10,000 words in length. Writers who have not submitted to Pro Se before must submit a four-page writing sample with their proposal. Proposals will be accepted until November 10th or until all available slots are filled. Completed stories will be due by February 10th, 2019. For more information on this submissions call, contact Hancock at editorinchief@prose-press.com. A Hero from the Past Thunders to life once More! Pro Se Productions proudly presents the latest volume in its PULP OBSCURA series-THE NEW ADVENTURES OF THUNDER JIM WADE VOLUME THREE: TOMB OF ANCIENT EVIL by Frank Schildiner! Even as men like Jim Wade and his companions furiously push the world forward, long forgotten malevolence once feared and worshipped by humans still lurks, hidden away in antiquity! Thunder Jim discovers that the world’s past can truly come back to haunt…and destroy when he discovers what lies in the TOMB OF ANCIENT EVIL From Pulp Obscura and Pro Se Productions! THE NEW ADVENTURES OF THUNDER JIM WADE VOLUME THREE features a stunning cover by Mikey Fyles and logo design and print formatting by Sean Ali and is available in print at https://www.amazon.com/New-Adventures-Thunder-Wade-Three/dp/1728674638/ref=sr_1_1?ie=UTF8&qid=1540952947&sr=8-1&keywords=thunder+jim+wade+volume+three&fbclid=IwAR3u91CPG31kCdQtvbUbcZZIvZCGGjXy2eyOqmGFEh8MpZYDWJOXWBzl0mw and on Pro Se’s own store at www.prose-press.com/store for $6.99. TOMB OF ANCIENT EVIL is also available as an eBook formatted by Antonino Lo Iacono and Marzia Marina for the Kindle at https://www.amazon.com/New-Adventures-Thunder-Wade-Three-ebook/dp/B07JQN7RKL/ref=tmm_kin_swatch_0?_encoding=UTF8&qid=1540952947&sr=8-1&fbclid=IwAR0oNz_csh_CLmmod7Si0a_GypmN5qRCc2-G99lYrpsh5rhCEwrLQwqAahU for only $2.99. The book is also available to Kindle Unlimited members for free. 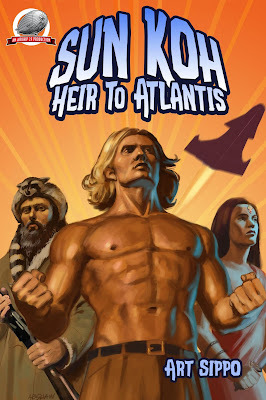 During the 1930s German pulp writer Paul Muller wrote a series of adventures featuring his hero, Sun Koh: Heir of Atlantis. 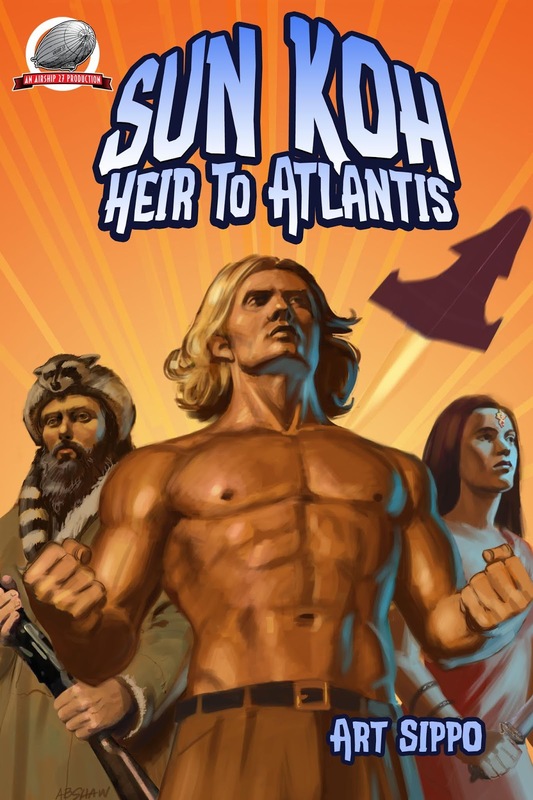 From the very start he was intended to an Aryan version of America’s Doc Savage. Like Savage he was larger than life and accompanying him on his adventurers was a group of loyal, unique individuals. 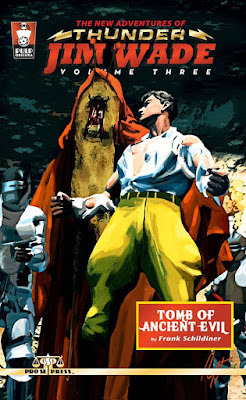 Whereas Doc Savage was a man of science and his companions all experts in various technical fields, Sun-Koh’s stories were slanted towards mythology and mysticism. He was supposedly a time-traveler from the sunken continent of Atlantis, a member of the royal family and master of arcane abilities. Although there were plenty of super scientific gizmos in his adventures, it was the magic that took center stage. His aides were magicians, immortals and religious Hindu assassins. Quite an eclectic mix. Now Dr. Art Sippo’s controversial New Pulp offering returns in this newly expanded Airship 27 edition with an introduction by Pulp Factory Award winner writer, Andrew Salmon and interior illustrations by Art Director Rob Davis and a stunning cover by Adam Shaw. The book also contains a Bonus Back-Up feature spotlighting Sun Koh’s amazing crew. PUBLISHER RELEASES FIRST CHILDREN’S BOOK- ‘FUNNY ZOMBIE’ CREATED BY TWELVE YEAR OLD DEBUTS! Pro Se Productions, a publisher of Genre Fiction and New Pulp, proudly announces its first foray into books aimed at a very special audience-children under the age of 8. As a part of Pro Se’s YOUNGPULP! imprint, FUNNY ZOMBIE by Kailee Hancock and illustrated by Jo Sumrall is now available in print and digital formats. FUNNY ZOMBIE is a book for small children written by Kailee Hancock. Now twelve years old, Kailee first created Funny Zombie when she was five. Now this unique character and his entire host of spooky and humorous friends star in their own children's book. From Vampire Vance to Smiley the Ghost to Funny himself, the crew of characters in this book show kids and adults how to be friends with all kinds of people and how to simply be yourself and enjoy life as you! 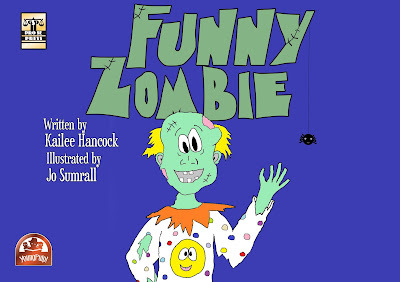 Whimsically illustrated by Jo Sumrall, FUNNY ZOMBIE is definitely a children's book like no other and will be a hit with kids of all ages. FUNNY ZOMBIE features a hauntingly cute cover and matching interiors by Jo Sumrall and logo design and print formatting by Antonino Lo Iacono and Marzia Marina and is available in print for $10.99 at https://www.amazon.com/dp/1728960959?keywords=funny+zombie+hancock&qid=1540679858&sr=8-2-fkmrnull&ref=sr_1_fkmrnull_2 and on Pro Se’s own store at www.prose-press.com/store. The first Pro Se children’s book is also available as an eBook for the Kindle at https://www.amazon.com/dp/B07JQLB56M?keywords=funny+zombie+hancock&qid=1540679858&sr=8-1-fkmrnull&ref=sr_1_fkmrnull_1for only $3.99. The book is also available to Kindle Unlimited members for free. 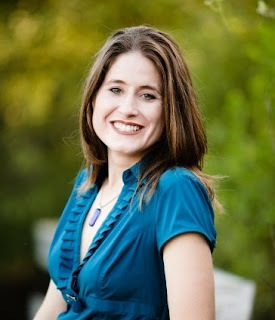 To learn more about Pro Se Productions, go to www.prose-press.com. Like Pro Se on Facebook at www.facebook.com/ProSeProduction. 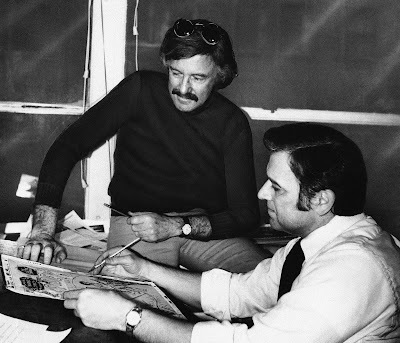 "Under Mr. Lee, Marvel transformed the comic book world by imbuing its characters with the self-doubts and neuroses of average people, as well an awareness of trends and social causes and, often, a sense of humor. "In humanizing his heroes, giving them character flaws and insecurities that belied their supernatural strengths, Mr. Lee tried “to make them real flesh-and-blood characters with personality,” he told The Washington Post in 1992.